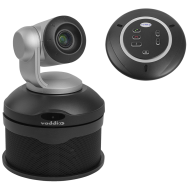 Ideal for small to medium conference rooms, the Vaddio™ ConferenceSHOT AV brings video conferencing to a new level with sharp video and powerful sound. 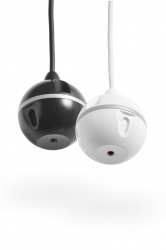 ConferenceSHOT AV is a PTZ 10x zoom camera with audio inputs and outputs that let you connect a speaker and two Vaddio microphones. 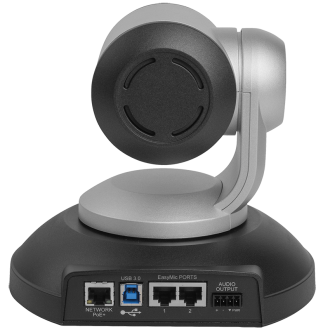 The USB 3.0-based ConferenceSHOT AV video conferencing camera supports any collaboration application enabling UC soft clients, such as Skype for Business, WebEx, Google and others, to become a group collaboration application. 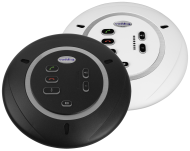 ConferenceSHOT is UVC compliant, requiring no drivers to be installed on your PC – just plug and play. 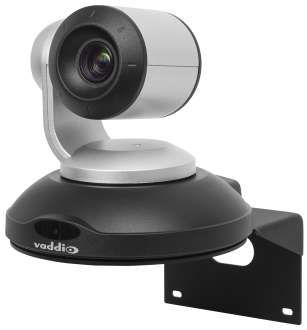 With a 74-degree wide horizontal field-of-view and 10x optical zoom with 11x zoom in super-wide mode, the ConferenceSHOT AV is ideal for small meeting spaces in corporate, healthcare, government and education environments. 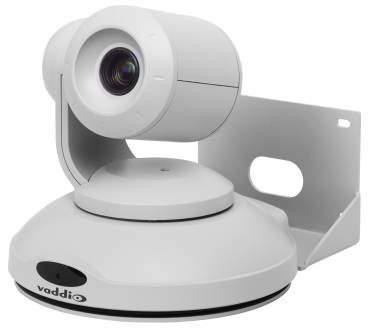 The high-definition ConferenceSHOT AV conference room camera provides amazing high quality imaging, exceptional color reproduction and truly fine detail. 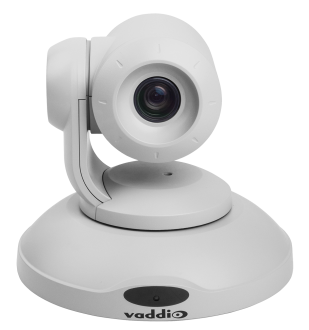 ConferenceSHOT AV incorporates the Vaddio Remote Management system – providing remote monitoring, management and control of a distributed camera network. 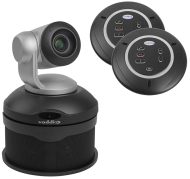 IP-accessible and a built-in Web server enables both browser control and IP-live preview and setup from PCs, Macs and mobile devices including iPhone, iPad and Android devices. 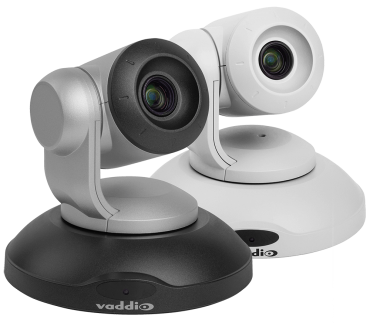 Vaddio offers a variety of ConferenceSHOT AV bundles for small meeting spaces. 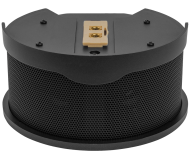 ConferenceSHOT AV Speakers are sold separately or in system bundles. 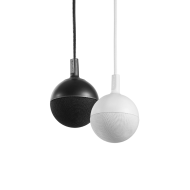 For smaller rooms, the ConferenceSHOT AV with a single EasyUSB table MicPOD is ideal; for larger rooms, two EasyUSB MicPOD microphones (table or ceiling) connected with the Vaddio powered loudspeaker provide complete room coverage.